Serves as a program manager in wildlife ecology. Responsible for program development and implementation for wildlife resources and their habitat requirements with emphasis on endangered species (including Quitobaquito pupfish, Sonoran pronghorn, and Sonoyta mud turtle), sensitive species such as the lesser-long nosed bat, non-native and pest animals. Coordinates with other resource program managers in Organ Pipe Cactus National Monument. Develops and conducts scientifically credible inventory, research, monitoring, protection, mitigation, and restoration projects related to wildlife resources in a Sonoran Desert setting. Develops work plans and schedules, scopes of work, cost estimates to support funding requests and accomplish goals. Prepares annual report to Arizona Ecological Services and other scientific reports, makes presentations at professional conferences, and provides training to monument staff and partners. Develops and maintains liaisons and effective working relations with related groups and individuals, partners, agencies, and the public and participates in the Interagency Sonoran Pronghorn Recovery Team. 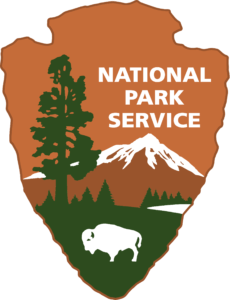 Serves as a member of ORPI’s interdisciplinary team; completes wildlife-related National Environmental Policy Act, Wilderness Act, and Endangered Species Act documentation and review for park operations and projects. May supervise permanent or term employees, seasonal employees, interns or volunteers. Serves as a program manager in wildlife ecology. Responsible for program development and implementation for wildlife resources and their habitat requirements with emphasis on endangered species (including Quitobaquito pupfish, Sonoran pronghorn, and Sonoyta mud turtle), sensitive species such as the lesser-long nosed bat, non-native and pest animals. Coordinates with other resource program managers in Organ Pipe Cactus National Monument. Develops and conducts scientifically credible inventory, research, monitoring, protection, mitigation, and restoration projects related to wildlife resources in a Sonoran Desert setting. Develops work plans and schedules, scopes of work, cost estimates to support funding requests and accomplish goals. Prepares annual report to Arizona Ecological Services and other scientific reports, makes presentations at professional conferences, and provides training to monument staff and partners. Develops and maintains liaisons and effective working relations with related groups and individuals, partners, agencies, and the public and participates in the Interagency Sonoran Pronghorn Recovery Team. Serves as a member of ORPI’s interdisciplinary team; completes wildlife-related National Environmental Policy Act, Wilderness Act, and Endangered Species Act documentation and review for park operations and projects. May supervise permanent or term employees, seasonal employees, interns or volunteers. At least one full year of specialized experience comparable in scope and responsibility to the GS-09 grade level in the Federal service (obtained in either the public or private sectors). This experience includes activities such as: providing technical support to wildlife, vegetation and biological resource programs and projects; planning and executing wildlife surveys to collect and portray a variety of information; research and review State and Federal regulations governing natural resource management; participate in the conduct of scientific studies and projects in natural resource management investigations. You must include hours per week worked. The Summer 2018 Wildlifer is here!